Take a well-deserved break, and enjoy a one-night stay for two people at an Irish Country Hotel. Relax and unwind with a complementary bottle of wine and a full Irish breakfast. Choose from 26 unique, family owned hotels across Ireland. Click ‘Redeem' and the Dulux Trade Points Helpdesk will contact you within 2 working days to discuss your Irish Country Hotels one-night stay and the options that are available to you. Our team will work with you at every step of the way. 1. 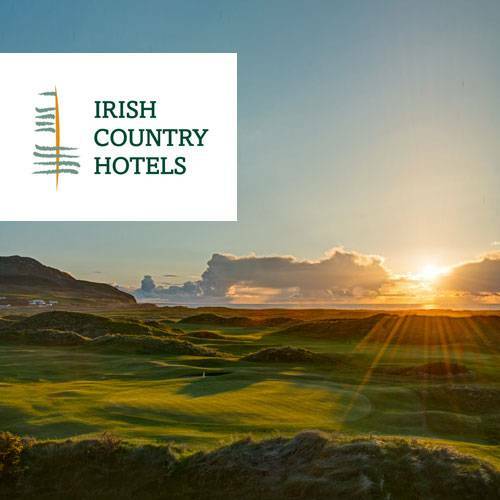 Offer is valid a one-night hotel stay in a standard room for two people at an Irish Country hotel. 2. Accommodation upgrades will not be included. If the customer chooses to upgrade their accommodation, an additional fee will be charged. 3. Cost of travel to and from the hotel, travel insurance and spending money is excluded from this offer and is entirely at the expense of the individual. 4. Guests will be provided with breakfast in the hotel restaurant and a complimentary bottle of wine. 5. You must provide the Dulux Trade Points Helpdesk with three possible dates for your hotel stay. 7. There are no cash or other alternatives. 8. The promotion is not open to employees of TLC Marketing or Dulux. 9. Hotel stays must be booked and used within 6 months after redemption.